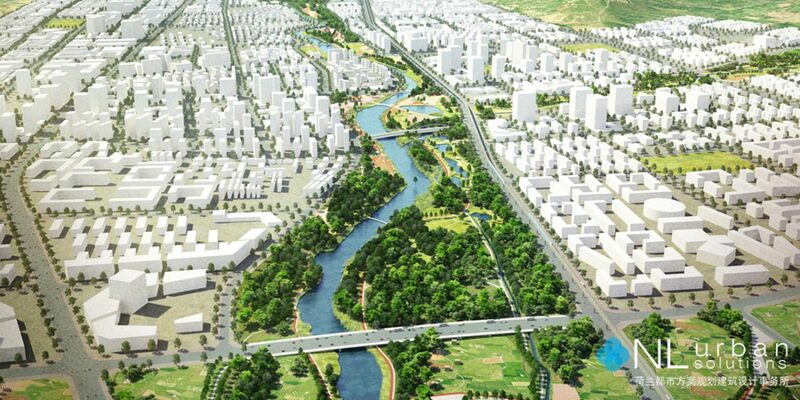 With the theme ‘Huangshui Wetland, Urban Oasis’, this project strategies a comprehensive river park in Duoba. The Project combines the characteristics of the regional ecological belt, eco-security buffer zone, local cultural-historical and leisure corridor, and urban façade for Duoba New Town. The planning strategies focus on repairing river ecology by creating diverse river habitats and a natural river landscape, and enhancing flooding safety with the concept of ‘Space for River’ by using more ecological and resilient flooding defense instead of concrete dykes. The strategies express the unique local characteristics of plateau climate, land form, and cultural diversity to form a strong local cultural identity. The Project upgrades urban and rural spatial quality by reorganizing public space, riverfronts, and eco-friendly slow traffic systems. The Duoba River Park Plan contributes to the new town’s long-term development in the river landscape and integrated urban environment.